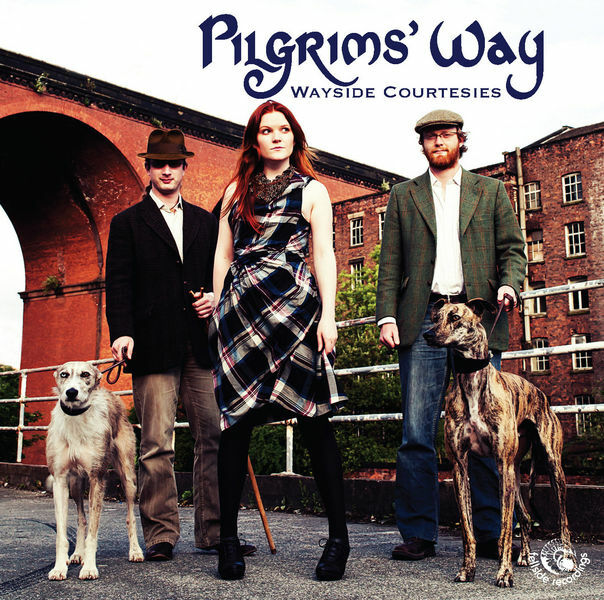 Pilgrims’ Way - "Shining Gently All Around"
Fast-rising English folk trio Pilgrims' Way have just released a download of their surprise Christmas EP "Shining Gently All Around" (including exclusive preview tracks from their next album). The trio of Lucy Wright , Tom Kitching and Edwin Beasant crown their year with a surprise Christmas EP and will pose the question “Will your Magic Christmas Tree Be Shining?” in a bold and haunting take on psychedelic folk outfit The Incredible String Band’s ethereal "Chinese White", which they have retitled "Magic Christmas Tree". The EP - Shining Gently All Around - follows on from their hugely acclaimed debut album Wayside Courtesies this summer and their ascendency continues - last week on BBC Radio 2, presenter Mike Harding revealed Pilgrims’ Way as a nominee for the coveted Horizon Award in the 2012 BBC Radio 2 Folk Awards to be held in Manchester next February. One of the key awards, it recognises the “most promising emerging talent”. Shining Gently All Around is a digital download release on the Fellside label, available on sites including iTunes and Amazon. Its lead track, certainly not a predictable festive offering, revives cult band ISB’s original Sixties song. ISB was formed in Scotland by Robin Williamson and Clive Palmer and they went on to become musical pioneers of psych folk playing at venues and events from the Royal Albert Hall to Woodstock and numbering Dylan and Paul McCartney among their fans. They split in 1974, later reforming, and "Chinese White" featured on their acclaimed 1967 second album "The 5000 Spirits or the Layers of the Onion". Their intriguing revival of "Chinese White" features Lucy’s clear and captivating vocals, Tom’s fine fiddle and Edwin’s mandola and bass skills – complete with a brass band playout. The Stockport-based band’s EP also offers a sneak preview of two tracks destined for their next album, due out 2012. With the upbeat "Light Dragoon" and "Howden Town" (aka The White Hare) they are back on more traditional territory with their trademark brisk and buoyant treatments of English folk songs – feisty, feelgood arrangements full of verve and vigour. Brimming over with vitality, few bands have made such an instant impact on the acoustic scene as Pilgrims’ Way with a mix of material ranging from “devil may care” tunes to poignant ballads and original compositions. 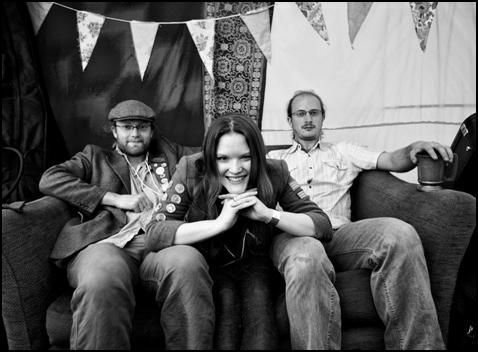 Armed only with an eponymous promo EP a year ago they quickly emerged with an enviable schedule of UK festivals and folk club gigs running throughout 2011 – a result of their rapid appeal – and are now in demand for 2012. Bound together not only by their goal of recharging trad folk but also by red hair (!) and shares in an ex-Ellesmere Port tar boat, they met in The Crown pub underneath the mighty, Lowry-inspiring Stockport Viaduct . Lucy ‘s strengths are her stand-out voice and deft Jew’s harp playing while Cheshire-born fiddler Tom Kitching, is a former BBC Radio 2 Young Folk Awards finalist. Probably best known as one half of a duo with singer-songwriter/guitarist Gren Bartley, Tom has been described by Living Tradition magazine as “one of the best young fiddlers in Britain” and also plays a mean mandolin. Inventive box player Edwin Beasant, also from Cheshire, is an incorrigible and talented multi-instrumentalist and also had a stint as drummer with Jabadaw. Listing influences from Shirley Collins and Maggie Boyle to The Albion Band, they take both their name and debut album title from the Rudyard Kipling poem “A Pilgrim’s Way”, a life creed set to music by the late, great Peter Bellamy. 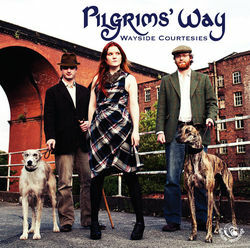 Following their signing to Paul Adams’ Fellside label, Pilgrims’ Way headed to Jon Loomes’ Yorkshire studio to record the July-released "Wayside Courtesies", a shot in the arm for trad folk which met with significant media acclaim on BBC Radio 2 and 3 and in the music press, generating great interest in the Pilgrims’ progress! See Pilgrims’ Way performing a wonderfully accelerated version of "Tarry Trousers" in a Songs from the Shed session at Bristol’s revived 2011 Folk Festival www.youtube.com/watch?v=ywNbUR8dr8g and at Shepley Festival performing The Handweaver and the Factory Maid www.youtube.com/watch?v=STeG5VTxP-U - both tracks feature on the Wayside Courtesies album.